Fitness challenges should be sustained long after the challenges end. A second-year Wits student will be hosting a 90-day fitness challenge in Braamfontein starting on Thursday, April 26. The challenge will be based on both weight gain and weight loss, with a focus on the entire body. Kelebogile Serokolo, a fitness trainer studying BA Media Studies, is set to launch the 90-day challenge at local restaurant African Flavour. Serokolo says that she enjoys seeing people walk around with confidence after their bodies have been transformed and hopes to empower them through her programme. “I’m doing a 90-day challenge because I enjoy seeing people walk around with confidence after their body transforms. They feel not only physically strong, but emotionally as well. People think I’m all about female empowerment but really I’m about human empowerment,” she told Wits Vuvuzela. Serokolo says what separates her fitness challenge from other challenges is that she helps people to gain emotional strength and send a message of self love and self worth. She also hopes to see many students take part in the challenge in order to use the fitness challenge as a coping mechanism. She also recommends a healthy diet when participating in a fitness challenge. “A healthy diet [means] teaching people that we don’t eat like rabbits to gain weight. You can eat well and be filled by just following the right ratios of food, this includes your clean carbs, protein and even fats that will produce the energy for a person to fully execute their exercises,” she said. According to Serokolo, people lack motivation once a fitness challenge is over because they do not see results immediately. “People get demotivated and want to give up because they don’t see results as quick[ly] as they’d like to,” she says. 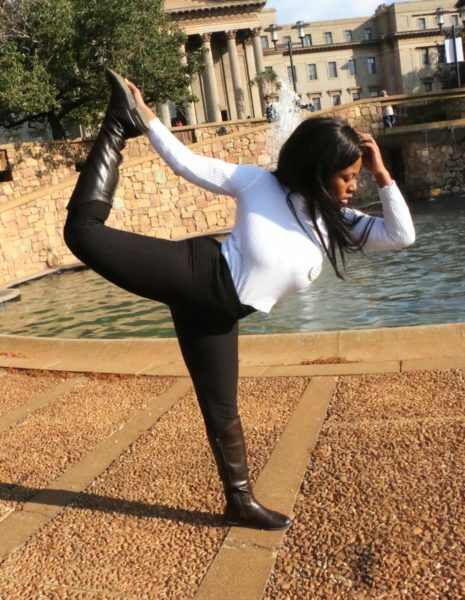 Honours in African Languages and Linguistics student, Mmanape Hlungwane says she has participated in a fitness challenge before and that she found it difficult to keep up with the routine after the challenge had been completed. “It was hard to keep up with the workout routine because I no longer had a set schedule and a goal to keep me motivated,” she says. David Ngobeni, who previously worked at the a gym at Wits, says people tend to ‘fall off the wagon’ because sometimes the fitness plan is too short. “People tend to fall off the wagon because once they’ve reached that 90-day goal and they’ve held it, [it] kicks out. Sometimes it’s a matter that the fitness plan was too short, so they never had the chance to integrate that whole gym life,” he says. According to Serokolo, the sustainability of the fitness challenge can be achieved through support systems.